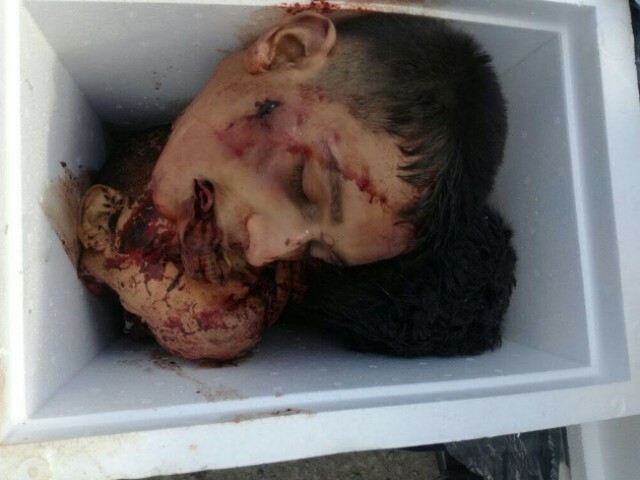 RIO BRAVO, Tamaulipas — Gunmen with the Gulf Cartel kidnapped, humiliated, and beheaded three of their rivals as a warning. The triple execution is indicative of the ongoing war between rival Gulf Cartel factions for local control of the border. This week, gunmen apparently from the Gulf Cartel’s Reynosa faction left the heads and bodies of three of their rivals in a vehicle parked outside of a school called Conalep. State authorities arrived documented the crime scene and to collected the remains. Two of the bodies appear to be men featured in a video where they are interrogated and forced to kiss. 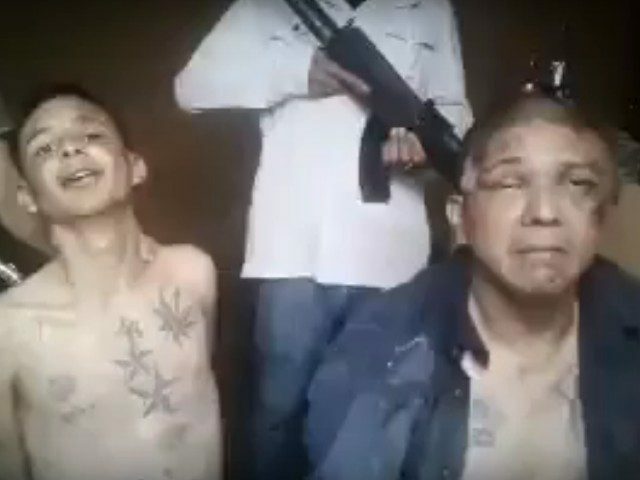 In the footage, which Breitbart Texas had access to from Mexican law enforcement sources, two of the gunmen claiming to call themselves “Mamey” and “Oscar” said they belonged to the Escorpion faction of the Gulf Cartel. The captured men appeared to be terrified when they claimed they were operating as gunmen in the region for 15 days. The incident follows more than 300 murders in the border city of Reynosa since May alone–all are directly related to the ongoing cartel violence. 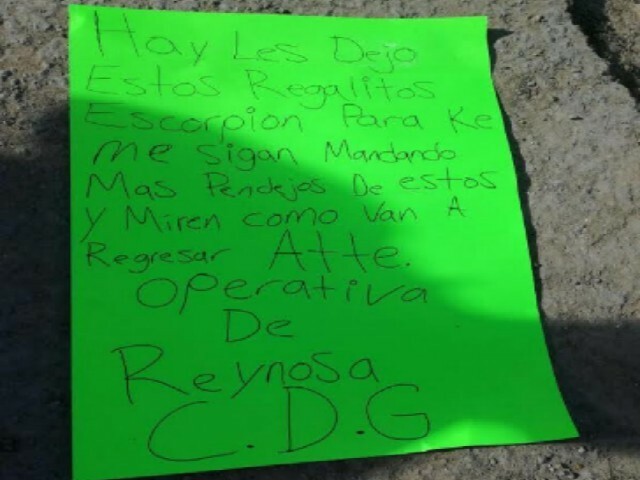 As Breitbart Texas has been reporting, the group in Reynosa led by Luis Alberto “Pelochas” Blanco Flores is fighting openly against the rest of the Gulf Cartel. The rival group led by Petronilo “Panilo” Moreno Flores is receiving help from the Gulf Cartel Scorpions that operate in Matamoros.